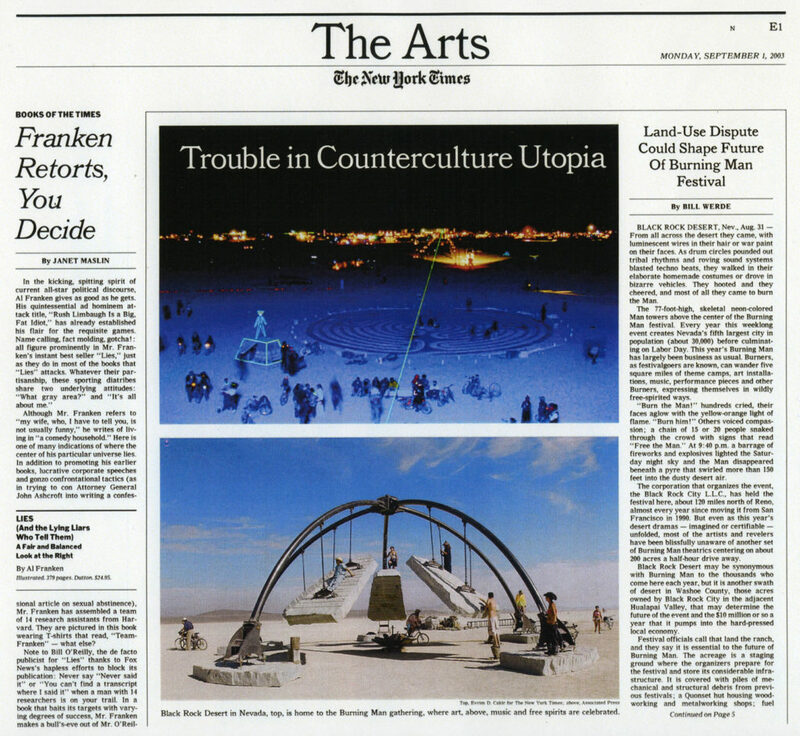 Well I guess it is nice to have your work pictured on the front of the NYTimes Art Section. Captioned “art” this image ran alongside a fairly irrelevant article about how Burning Man isn’t perfect. The kind of article the mainstream press has been running about Burning Man for years….